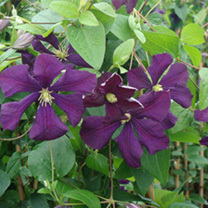 Clematis 'Etoile Violette' is a large deciduous climber, growing up to 4m in height. The 'Violet Star' flower can be up to 10 cm in width, with cream coloured stamens. 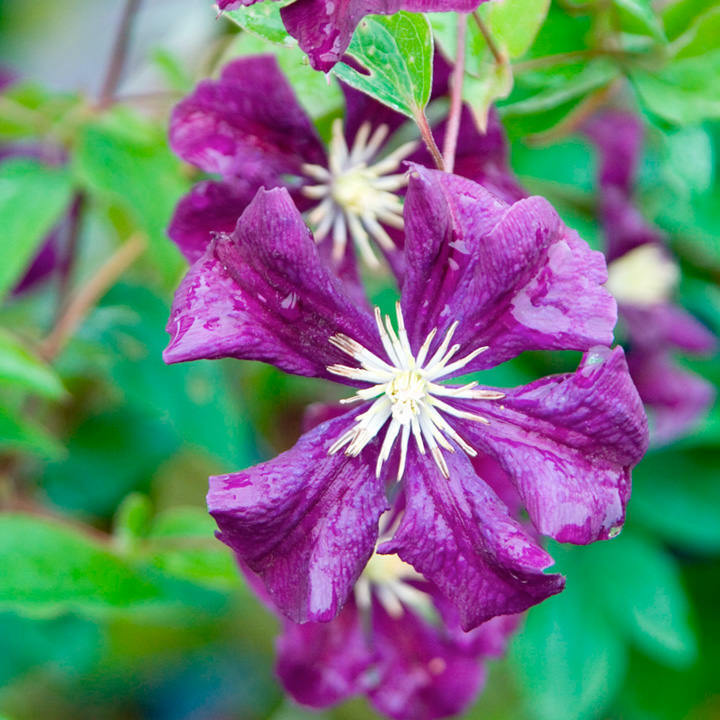 It belongs to the Viticella group of clematis, which are cut back to 20cm above ground level, to a strong pair of buds, in early spring. Flowers July-September. Height 250-300cm. Supplied in a 3-4 litre pot. Ideal for patio pots and containers, climber. Prefers full sun or partial shade.